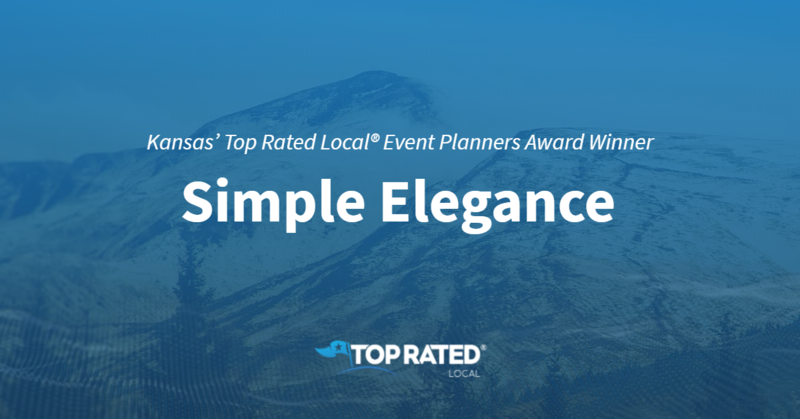 Top Rated Local® is pleased to announce that Chad Biggs Event Planning & Design is an award winner for event planners in 2019. If you are looking for an event planner that will work hard to help you create the event of your dreams, look no further than this award-winning company! 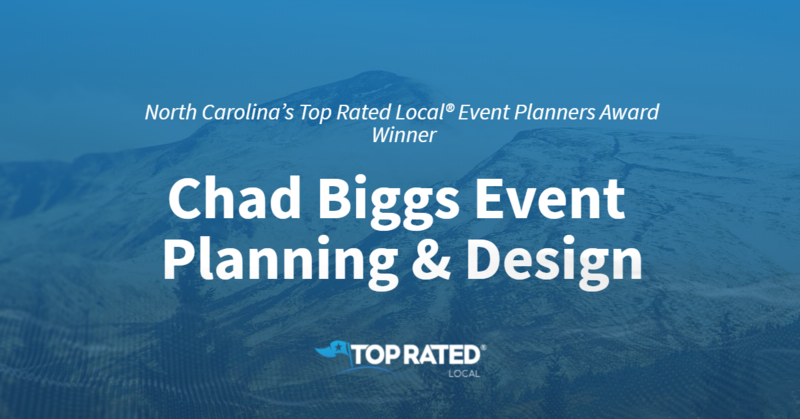 Chad Biggs Event Planning & Design has received many overwhelmingly positive reviews across six different verified sites with an average rating of 5.00 stars, earning them a perfect Rating Score™ of 100.00 and two 2019 Top Rated Local awards for ranking as one of the top 10 businesses and the number one event planner in all of North Carolina! “Chad Biggs Event Planning and Design was one of the best decisions we made in hiring our vendors!… [They were] amazing, extremely kind, helpful, and went above and beyond. We loved working with [them] and just being around [their] positive attitude. [They] made wedding planning so much more fun, easy, and relaxing. Our wedding was absolutely perfect and beautiful, and we have [them] to thank for that! [They are] a must for anyone’s wedding!” – A.H. It is because of excellent reviews like this that Chad Biggs Event Planning & Design is now able to call themselves a Top Rated Local award winner! We were excited to learn all about how Chad Biggs Event Planning & Design has been able to build such an impressive reputation, so we sat down with the owner, Chad Biggs. The first thing we wanted to know was what it is that makes Chad Biggs Event Planning & Design stand apart from their competitors. We learned about the amount of personal investment Chad puts into every one of his clients. He believes in being incredibly responsive and available to the client, as well as operating under the assumption that there is always room to grow. Chad infuses his own personal flair into his correspondence by hand-writing letters to all of his clients after he’s worked for them. He thanks all of them individually, and asks for specific feedback in order to find out what they loved and take suggestions for what more he can do. After what we learned about Chad’s personalized style of business, it came as no surprise to us that in order to grow and market his company, Chad focuses on both professional and local community relationship building. He has formed strong relationships with venue owners and other members of the event planning community. At the end of our chat, Chad lovingly shared that he wanted to say how thankful he is for each of his planners. He recognizes that he wouldn’t have been able to do what he has without each of them. 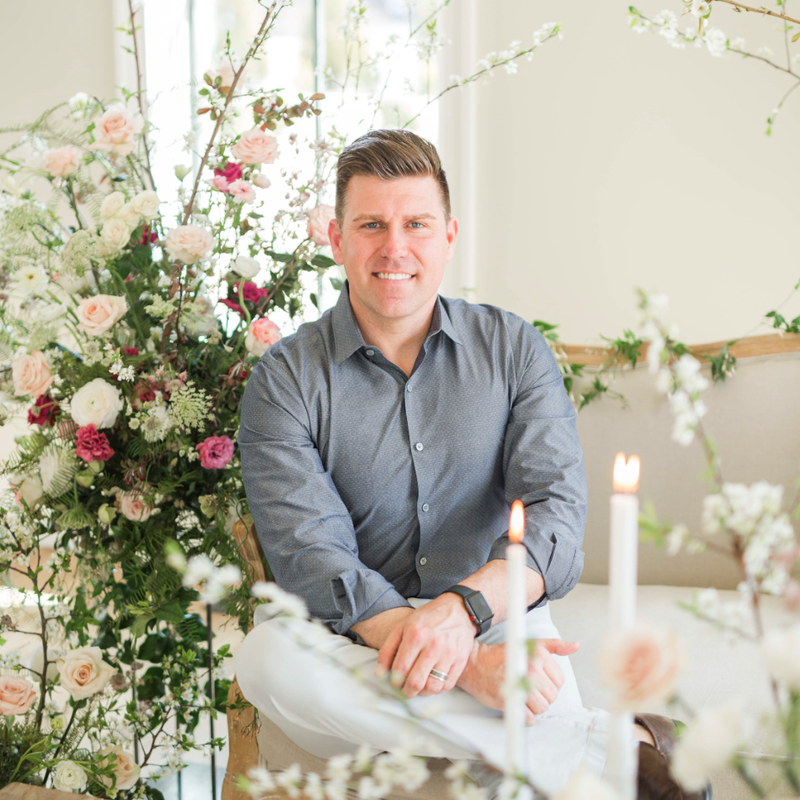 Congratulations to Chad Biggs Event Planning & Design for being a 2019 Top Rated Local award winner, and special thanks to Chad for taking the time to speak with us! 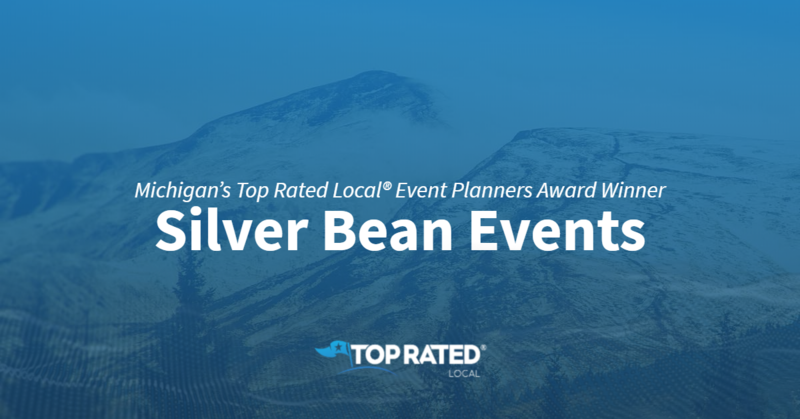 North Carolina’s Top Rated Local® Event Planners Award Winner: Asheville Event Co.
Top Rated Local® is pleased to announce that Asheville Event Co. is an award winner for event planners in 2019. If you are looking for an event planner that will help you to seamlessly create the big event of your dreams, look no further than this award-winning company! Asheville Event Co. has received many overwhelmingly positive reviews across four different verified sites with an average rating of 5.00 stars, earning them an impressive Rating Score™ of 98.00 and a 2019 Top Rated Local award for ranking as one of the top five event planners in North Carolina! “Becca did such an amazing job for our wedding! My wife and I were so impressed by every aspect of her services, from finding the vendors to keeping everything organized to giving us recommendations. She was incredible leading up to the event and feels like a part of our family now! She made our wedding flawless and gave us such a wonderful experience. Our wedding was stress-free because of how good of a job she did, and we can’t recommend her highly enough!” – B.C. It is because of excellent reviews like this that Asheville Event Co. is now able to call themselves a Top Rated Local award winner! We were excited to learn all about how Asheville Event Co. has been able to build such an impressive reputation, so we sat down with the Managing Partners, Melissa Porter and Becca Knuth. The first thing we wanted to know was what it is that makes Asheville Event Co. stand apart from their local competitors. We learned that one major thing that sets this group apart is that they are a full-service event planner. They can plan events in any field or industry, and are able to offer assistance in logistics, expertise, and experience. Ultimately, they are working to help people. At the end of the day, Melissa said that they get a strong sense of satisfaction from creating, and that’s why they do what they do. They love making people happy. The majority of Asheville Event Co.’s clients are word-of-mouth referrals. Melissa and Becca have both been in the industry for a long time, and a lot of their business relationships have been built throughout the years. Many of their vendors were referrals as well. Congratulations to Asheville Event Co. for being a 2019 Top Rated Local award winner, and special thanks to Melissa and Becca for taking the time to speak with us! 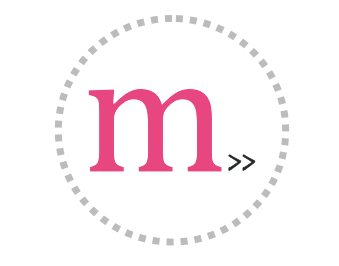 Top Rated Local® is pleased to announce that Events By Melody is an award winner for event planners in 2019. If you are looking for an event planner that will bring you ease of mind on your big day, look no further than this award-winning company! Events By Melody has received many overwhelmingly positive reviews across four different verified sites with an average rating of 5.00 stars, earning them an impressive Rating Score™ of 99.00 and two 2019 Top Rated Local award for ranking as one of the top 100 businesses and one of the top three event planners in all of Minnesota! It is because of excellent reviews like this that Events By Melody is now able to call themselves a Top Rated Local award winner! We were excited to learn all about how Events By Melody has been able to build such an impressive reputation, so we sat down with Melody Hall. Events By Melody has such an incredible online reputation, so we were excited to learn some of the ways this business has been marketed over the years. Online, it is important for Events By Melody to remain visible to their community, so they make sure to have a strong presence on social media platforms, like Facebook and Instagram. They utilize Instagram stories to show some behind-the-scenes work they are up to on a daily basis. We also learned that they utilize a monthly e-newsletter, which includes what they are up to, recent blog posts, testimonials and reviews, recent achievements or awards, and upcoming industry events. While they keep up with their community online, we also learned about how important it is for them to create and foster relationships with vendors and venues. Melody will often tour wedding and event venues, and meet with vendors, like DJ’s, photographers, caterers, and florists. 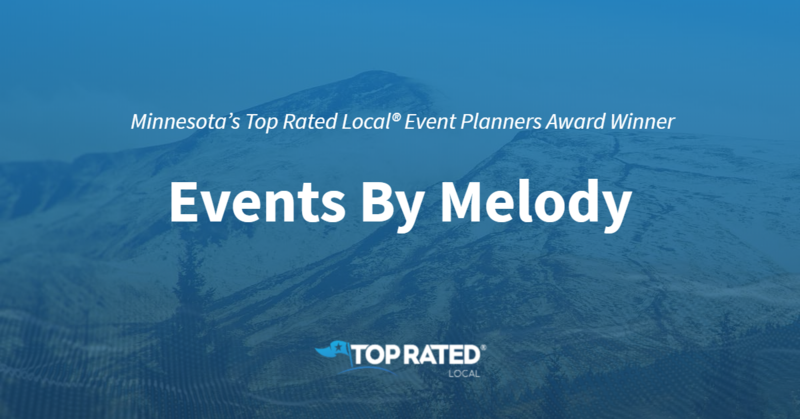 Congratulations to Events By Melody for being a 2019 Top Rated Local award winner, and special thanks to Melody for taking the time to speak with us! 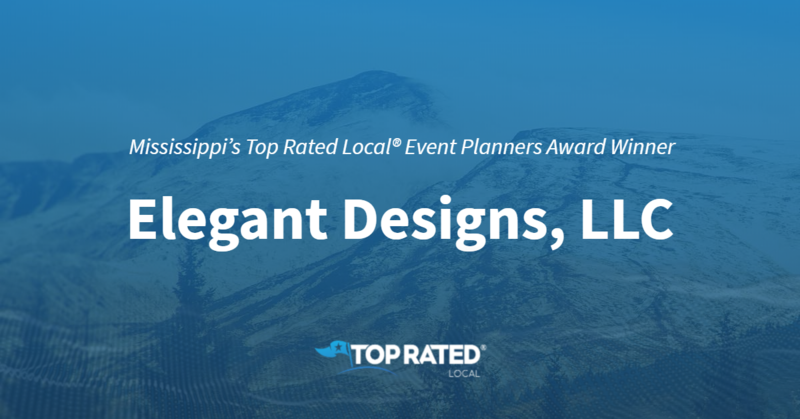 Top Rated Local® is pleased to announce that CreaTiF Event Planning is a 2019 award winner for event planners in Mississippi! When it comes to weddings and other events, CreaTif Event Planning is the company to turn to in Southaven. CreaTif Event Planning has received more than 100 reviews on three verified sites with an average rating of 4.82 stars, earning them a stellar Rating Score™ of 94.25 and a 2019 Top Rated Local award for ranking among the top 10 event planners in all of Mississippi! “She served as the day-of coordinator for my wife and I’s wedding, and we also rented a few things from her for the big day. She was extremely attentive to all aspects of the event and met any needs the wife and I had that day (which helped avoid a couple of meltdowns). She even stepped up and helped eliminate a crisis situation caused by another vendor for our wedding without our guests even noticing. CreaTif Event Planning was easily the best investment we made into the event and would strongly recommend her services to anyone and everyone.” – Shaun B.
Tiffany Smith, the owner of CreaTif Event Planning, generously gave us a few minutes of her time to tell us about her incredible business and its award-winning online reputation. Congratulations to the team at CreaTif Event Planning for being a 2019 Top Rated Local award winner, and thank you so much, Tiffany, for taking the time to speak with us! We highly recommend CreaTif Event Planning in Southaven. Visit their website today! Top Rated Local® is pleased to announce that Touch Of Elegance Events & Designs is an award winner for event planners in 2019. If you are looking for an event planner that will take care of all the little details on your big day, look no further than this award-winning company! 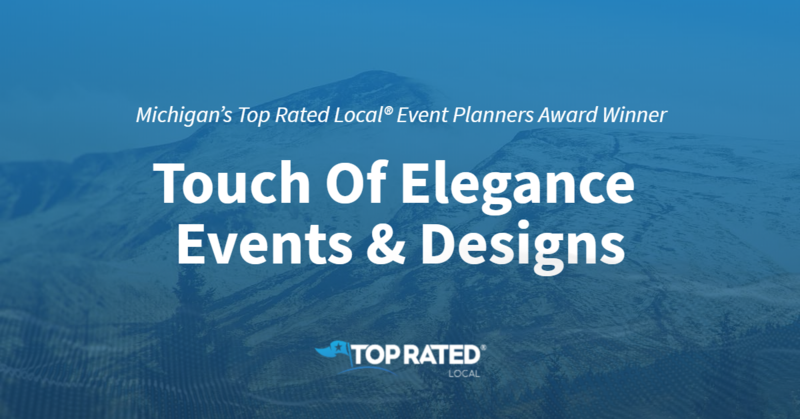 Touch Of Elegance Events & Designs has received many overwhelmingly positive reviews across six different verified sites with an average rating of 4.67 stars, earning them an impressive Rating Score™ of 96.74 and a 2019 Top Rated Local award for ranking as one of the top 10 event planners in Michigan! “My wedding day was absolutely amazing, and I never could have pulled it all together without the assistance of Carrie and Touch of Elegance. Their professionalism and planning expertise allowed me to relax and enjoy the day knowing that everything was going to be handled with the highest level of care… My guests had a blast; everything was beautiful, and I’m so thankful that any issues were handled quickly, discreetly, and professionally. Thank you so much for taking the stress of the day off of me so that I could just enjoy the magic of the wedding.” – S.C. It is because of excellent reviews like this that Touch Of Elegance Events & Designs is now able to call themselves a Top Rated Local award winner! 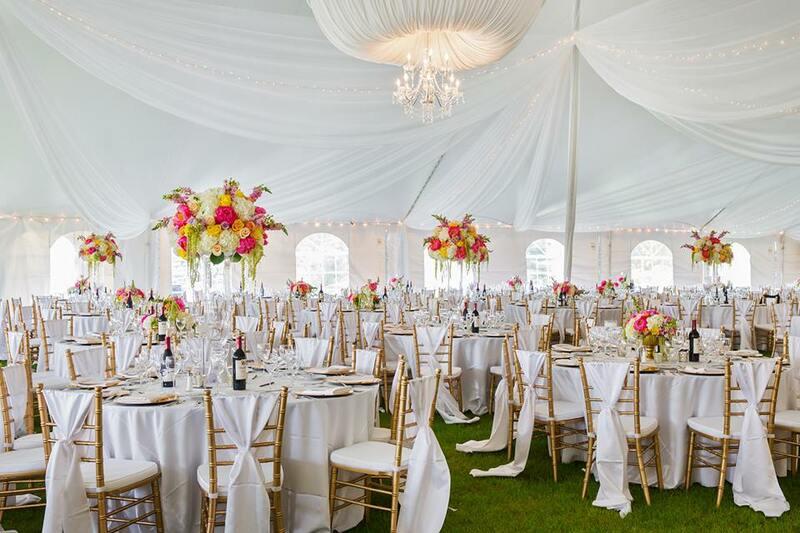 We were excited to learn all about how Touch Of Elegance Events & Designs has been able to build such an impressive reputation, so we sat down with the owner and Lead Planner, Carrie Gentry. 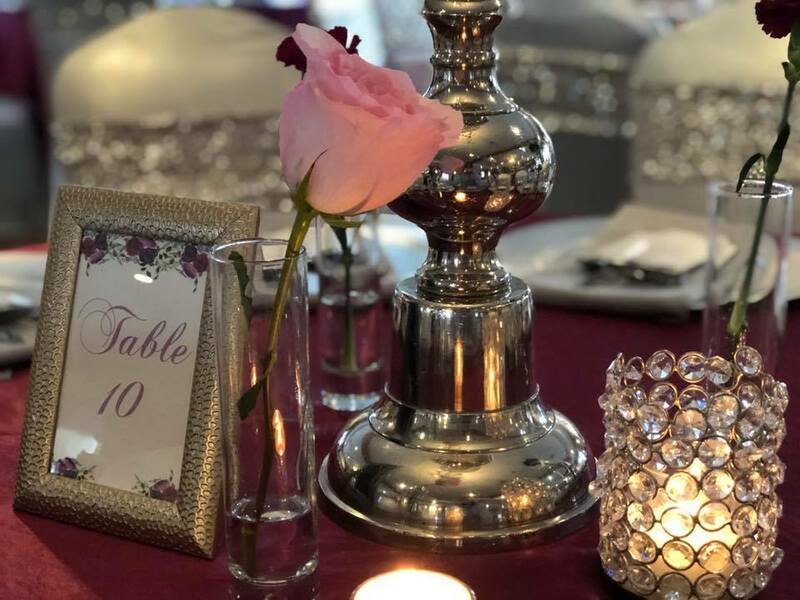 Touch Of Elegance Events & Designs has certainly managed to build an impressive online reputation. We were curious about how they have marketed their business over the years. Carrie told us that they have been featured in The Knot magazine, they attend bridal shows, and they participate in venue open houses. In addition to these more traditional forms of marketing, Carrie told us that they also employ many high school students from Grow Youth Detroit, a program designed to help kids decide what they want to do for their careers by giving them real experience. Congratulations to Touch Of Elegance Events & Designs for being a 2019 Top Rated Local award winner, and special thanks to Carrie for taking the time to speak with us! Top Rated Local® is pleased to announce that Elegant Designs, LLC is an award winner for event planners in 2019. If you are looking to plan an event in Hattiesburg, Mississippi, we highly recommend reaching out to Elegant Designs, LLC. Life’s a party, and they will help you to make it an awesome one! Elegant Designs, LLC has received many overwhelmingly positive reviews across three different verified sites with an average rating of 4.91 stars, earning them an impressive Rating Score™ of 96.05 and a 2019 Top Rated Local award for ranking as one of the top three event planners in Mississippi! 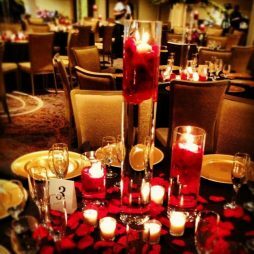 “Elegant Designs, LLC is one of the absolute best event planning companies around. Annie is very friendly, and she knows how to bring your vision to life in the most elegant way. As I prepared for my wedding, there were several bumps along the way, but she never missed a beat. She always knew how to keep me calm, and she made my day very stress free. The set-up was absolutely beautiful. I can’t imagine anyone else planning any event for me. I would highly, highly recommend Elegant Designs, LLC for your next event.” – T.G. It is because of excellent reviews like this that Elegant Designs, LLC is now able to call themselves a Top Rated Local award winner! Because they have had so many satisfied customers, Annie told us that Elegant Designs LLC gets many word-of-mouth referrals. In addition to building a strong reputation online, Elegant Designs LLC is also active in their local community, where they sponsor local schools for field and sports teams. Congratulations to Elegant Designs, LLC for being a 2019 Top Rated Local award winner, and special thanks to Annie for taking the time to speak with us! Top Rated Local® is pleased to announce that Sadie’s Couture Floral & Event Styling is an award winner for event planners in 2019. If you are looking for an event planner who will help to bring your big-day visions to life, look no further than this award-winning company! Sadie’s Couture Floral & Event Styling has received many overwhelmingly positive reviews across a variety of verified sites with an average rating of 4.85 stars, earning them an impressive Rating Score™ of 93.55 and a 2019 Top Rated Local award for ranking as the number one event planners in North Dakota! “Sadie captured my dream wedding and went beyond expectations! I could not have asked for a better person to work with and help make my dream winter wedding come alive! She is simply so kind and caring and, best of all, easy-going. [She] makes the wedding planning so much fun and stress-free! Even with the big blizzard we got two days before the wedding, Sadie was not worried. [She] said everything would turn out perfect, and it turned out to be more than perfect; it was magnificent!! Sadie, thank you so much for all your hard work and for making this wedding an absolute dream come true!” – K.J. It is because of excellent reviews like this that Sadie’s Couture Floral & Event Styling is now able to call themselves a Top Rated Local award winner! Sadie’s Couture Floral & Event Styling has managed to build an impressive online reputation. Sadie says that other wedding-related websites request reviews from brides and that a lot of their business is based on personal referrals. At Sadie’s Couture Floral & Event Styling, they strive to bring every client’s vision to life. To meet this goal, they place a lot of focus on superior customer service. In addition to their dedication to fantastic customer service, Sadie’s donates 10 percent of their total profits annually to local non-profits. Congratulations to Sadie’s Couture Floral & Event Styling for being a 2019 Top Rated Local award winner, and special thanks to Sadie for taking the time to speak with us! Top Rated Local® is pleased to announce that ae creative is a 2018 award winner! 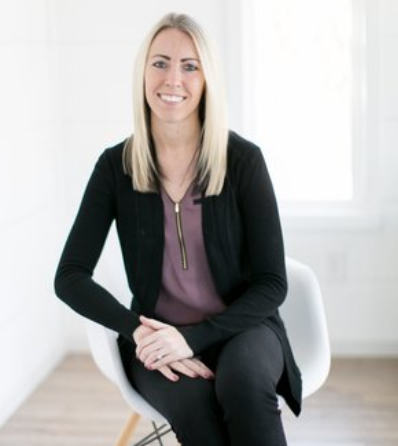 The owner of ae creative, Abby Elvebak, took some time to speak with us about her business’ tremendous online success. When it comes to the ae creative secret to success, Abby chalks it all up to her community. She said, “[Our secret to success is] having a good sense of community. We’re local Oregonians, and we’ve established ourselves in this community. It doesn’t take one person to make a success; it takes a group effort. We all work together as a team to be successful. 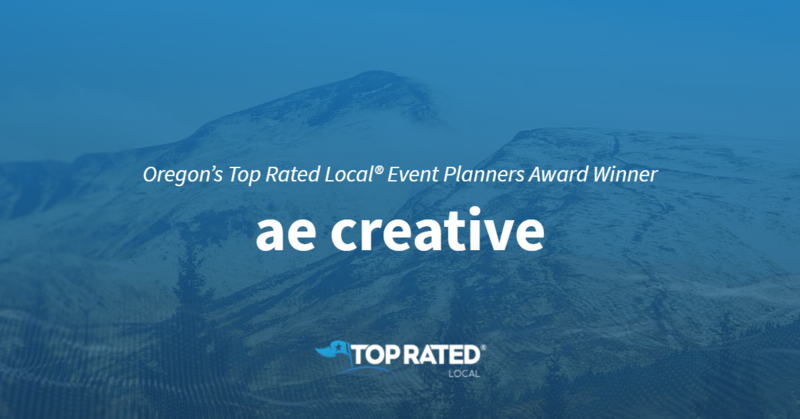 Congratulations to the team at ae creative for being a 2018 Top Rated Local award winner, and thank you so much, Abby, for taking the time to speak with us!